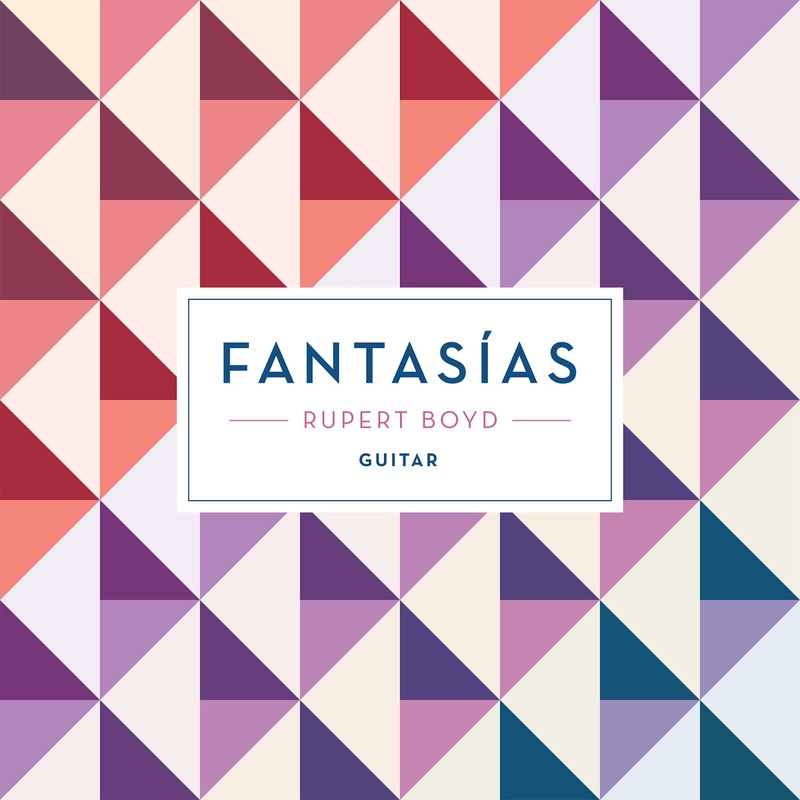 Rupert Boyd is an Australian guitarist of surpassing skill and intelligence with an eclectic ear, all qualities in evidence on his globe-trotting (and time-traveling) sophomore album, Fantasias. By the end of the collection, we have touched down in Argentina, Spain, Cuba, Italy, Hawaii, France, Switzerland, and the British Isles, and moved through 400 years of music. When you read "Argentina" your mind probably conjured up Astor Piazzolla, which would be spot on, as it is the neo-tango genius's Otono Porteno, in an arrangement by S. Assad, that opens the record. Like the master himself, Boyd avoids any over-dramatic clichés to deliver a performance that handily deals with the virtuoso requirements of the piece. This sets the tone for what follows, a lively sequence of the tuneful, folky, and exploratory. 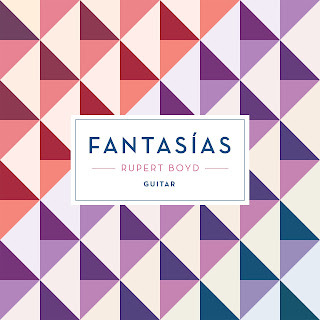 Boyd's project is enabled by the lighter-than-air, crystal clear sound of the record, which was made in a "centuries old church just outside of London" with John Taylor, a British producer of some renown, especially for his work with guitar and lute players. Perhaps it's Taylor's influence, but the Celtic and English folk songs are marvelous here, especially John Dowland's Fantasie, which traverses a few moods in its four minutes. Naturally, Boyd is simpatico with his fellow countryman, Philip Houghton, with whom I was completely unfamiliar. He manages to lay on a bit of mystery, especially in his God Of The Northern Forest - don't be surprised it this one shows up on Game Of Thrones or in the next Peter Jackson fantasy. I'm especially grateful to Boyd for including two Manuel de Falla pieces, including his own arrangement of Pantomima. Other guitarists should add this to their repertoire and continue bringing attention to this oft-overlooked composer. Leo Brouwer, a Cuban musician who explored everything from Afro-Cuban forms to Bach, The Beatles, and beyond, is also not overexposed. A guitarist himself, his Tres Apuntes takes almost maximum advantage of the possibilities of the nylon-stringed instrument. Speaking of which, my fantasy is that Boyd takes on Luciano Berio's Sequenza XI on his next record - I think it would fit like a glove. Brouwer's trilogy is one of the meatier pieces on the album, but as expected from the title, Fantasias does not aim to make demands, but to rather provide a bit of smart escapism. We also escape the expected - turns out Boyd covered Granados on his first album so you won't find that guitar-record staple here! I like Boyd's light touch, both on his guitar and in his conception of the album. It's been a great accompaniment to mornings at work and I can imagine it finding a place in your life as well. If you're in NYC and you want to see Boyd in person, act fast as his album release event is June 16th at the Greenwich House School of Music. All the information is here, including dates in December with cellist Laura Metcalf - they perform together as Boyd Meets Girl and who can resist that? I've been playing a fun little mind game while listening to A Moon Shaped Pool, Radiohead's astonishingly great new album. What if this were a debut album by a new band...how many copies would they sell? How long would it take them to get to 12 million followers on Facebook? Would they fill arenas with 20,000 fans and get them on their feet? In short, would they be one of the biggest bands in the world on the basis of this extraordinarily sophisticated and deeply emotional take on rock music? Of course, these are all moot points. A Moon Shaped Pool could never be a first album as it is a work of consummate mastery, made by five musicians at the top of their game and working together as one. It feels so completely unified musically that I only rarely find myself thinking about Jonny Greenwood or Ed O'Brien or Phil Selway or Colin Greenway...the sounds are all just there, providing a perfect backdrop for some of the finest singing of Thom Yorke's career. Along these lines, one review I heard complained about the fact that they have one of the best drummers around in Selway (and they do) but that he is underused on this record. That completely misses the point, in my opinion, and is a very "rockist" way of looking at things, a hangover from the distant days when Radiohead developed their huge audience with "Modern Rock" songs like Creep. That was a long time ago and the fact that they have maintained so much of their audience would be an interesting thing to study at another time. Back to the present. The way I hear it, AMSP is a work by virtuosos who only want to serve the music and not create showcases for themselves. Perhaps their time in the wilderness of The King Of Limbs, their surprisingly ennervated last album (and on which Selway was sorely underutilized) led them to this perfect middle ground between being a rock band and something more futuristic. In some ways, however, this is more traditional music than what they put forth on TKOL, much of which seemed like studies for future remixes. In fact, it was on the remix album, Tkol RMX 1234567, or on stage, that many of those songs found fruition. Not so here. Each song is a self-contained gem, layers of guitar and strings and keyboards blending together in an egoless wash of brilliant sounds. AMSP seems in this way to be more of a continuation of where they arrived at on In Rainbows, especially in the direct emotional communication from Thom Yorke. While the album starts on a passionately political note with Burn The Witch, many of the songs are more down to earth. "Hey it's me, I just got off the train," Yorke sings to begin Glass Eyes, "A frightening place/Their faces are concrete gray/And I'm wondering should I turn around, buy another ticket/Panic is coming on strong..." I'm not sure anybody alive couldn't relate to that on some level. "There's a crack in everything/That's how the light gets in," Leonard Cohen once sang and that seems to be an operating principle here. There's a wonderful variety to Radiohead's approach on AMSP, from lush orchestral settings to seemingly simple, acoustic guitar-led arrangements that harken back to Nick Drake and David Crosby. 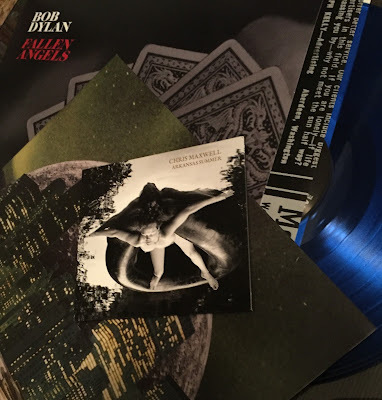 There's also welcome evidence, if slight, of a sense of humor, such as the tape-warble entry and snores of Daydreaming, or the fact that the album is sequenced alphabetically. While their wheelhouse is still post-Rubber Soul rock, I hear hints of alien R'n'B and soul on Identikit, which fits the lyrical themes of "When I see you messing me around, I don't want to know," and "Broken hearts make it rain." Sade or, even better, Kelela should cover this beauty. Of course, this being Radiohead, Jonny Greenwood's angular chicken-scratch evolves into a math rock solo par excellance before the song stops dead in its tracks - you will, too. Identikit and the quietly devastating True Love Waits, which ends the album, have both been around a while, with the latter first being played on stage over 20 years ago. This has led to some speculation that Radiohead is reaching the end of the road. I see no reason to think that. Some songs are just not immediately ready to be fixed in the amber of a studio recording. And like Wilco, there's plenty of room in the band for each member to pursue their own interests, from Yorke's electronica to Jonny Greenwood's film scores and orchestral work, and Selway's albums of gently persuasive folk. One imagines that these extra-curricular activities help bring new dimensions to the collective effort when they do regroup. That certainly is the case here, and it's led to one of the finest albums of their career, one that will be near the top of 2016. Take all the time you need, boys. Like true love, we can wait for another masterpiece like A Moon Shaped Pool.